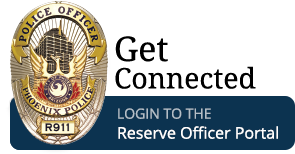 Below is the step-by-step process to become a reserve police recruit. 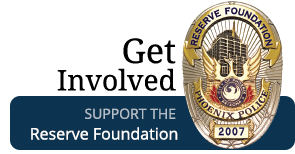 Upon successful completion of all of these steps, you will be placed into the pre-hire program prior to attending training at the Phoenix Police Reserve Academy. If you have questions about any of these steps, contact a recruiter at (602) 534-9000 or police.reserve@phoenix.gov. The first step in becoming a reserve police recruit is to fully complete the background packet. In order to continue with the application process, please open the two documents below, complete the background packet according to the instructions, and return your completed background packet to the Reserve Division for review. 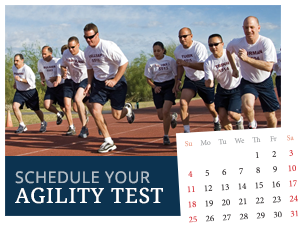 Please contact a recruiter at (602) 534-9000 or police.reserve@phoenix.gov to schedule a time to return. Upon returning a fully completed background packet, qualified applicants will contacted a short time later (1-4 weeks) to set-up the initial background interview. Applicants will now be required to bring a completed resume to their first interview. Applicants will be given a polygraph examination (lie detector test) administered by a trained, professional examiner. The test will confirm information noted on the applicant's background investigation packet. Applicants will be required to submit to a urinalysis at some point in the hiring process. Upon successful completion of all the above steps, qualified applicants will be eligible to attend the academy as a reserve police recruit.